Distracted Driving: It Can Wait! We are all guilty of it. Whether it’s inhaling a sandwich between destinations, applying a touch-up to your lipstick, trying to keep the peace between the bickering kiddos in the backseat or answering a quick work text at 60 miles per hour. Taking your vision or mental concentration away from driving is reckless to the other drivers on the roadway. While traffic crashes are the leading cause of death for U.S. teens and they are far more likely to send and receive text messages while driving than adults, they are not the only offenders. Our society has become so connected to their electronic devices that they kind of forget themselves. “I am constantly telling my own daughters, ‘It can wait!’ There is no text or call that is important enough to lose your life,” Brad says. It’s not only visual impairment in which drivers should be concerned. Using a cell phone for any purpose while driving affects a person’s cognitive ability. Brad says, “People may think they are being responsible if they are utilizing hands-free devices. It’s better but not by much. Here’s a perfect example…Have you ever been driving along while in a conversation on your phone, and after you hang up you have to ask yourself where you are? Do you ever forget to exit because you are so engrossed in the conversation you are having? This is evidence that both texting AND talking while driving affects your overall awareness.” If you or a loved one has been injured by the negligence of others, call us at 817-440-3888. 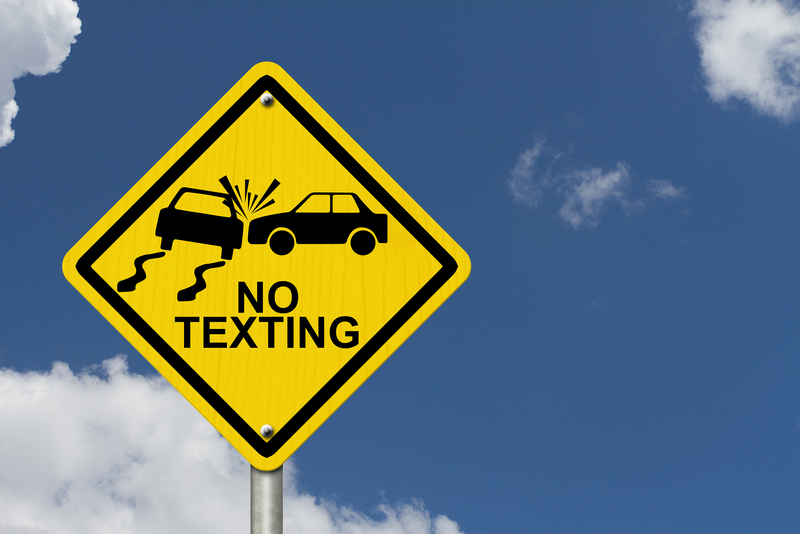 Research shows that text messaging causes drivers to take their eyes off the road for 4.6 seconds over a six-second interval. That means at 55 miles per hour, a texting driver will travel the distance of a football field without paying attention to the road.